My post yesterday mentioning the woolly aphids prompted several of you to ask what was the difference between these and mealy bugs. Mealy bugs and woolly aphids are different pests that cause similar effects and are very easily mistaken for the other.Mealy bugs are often found congregating in the joints of plants or where leaves are attached.If you look very closely they have an oval shape to their body under the protective white waxy/woolly coating. They are actually a soft-bodied scale and you rarely will see them move with the naked eye.Woolly aphids create a similar layer of white coating, but it tends to coat a stem or be in patterns on the backs of leaves. If you look closely, you will also usually find active adults moving around on the leaves and stems. If you could look under their white wooly coating, they are pear shaped like an aphid with distinguishable legs. Both are sucking insects and closely related. Woolly aphids (subfamily:Eriosomatinae) are sucking insects that live on plant fluids and produce a filamentous waxy white covering which resembles cotton or wool.The adults are winged and move to new locations where they lay egg masses.The nymphs often form large cottony masses on twigs, for protection from predators. 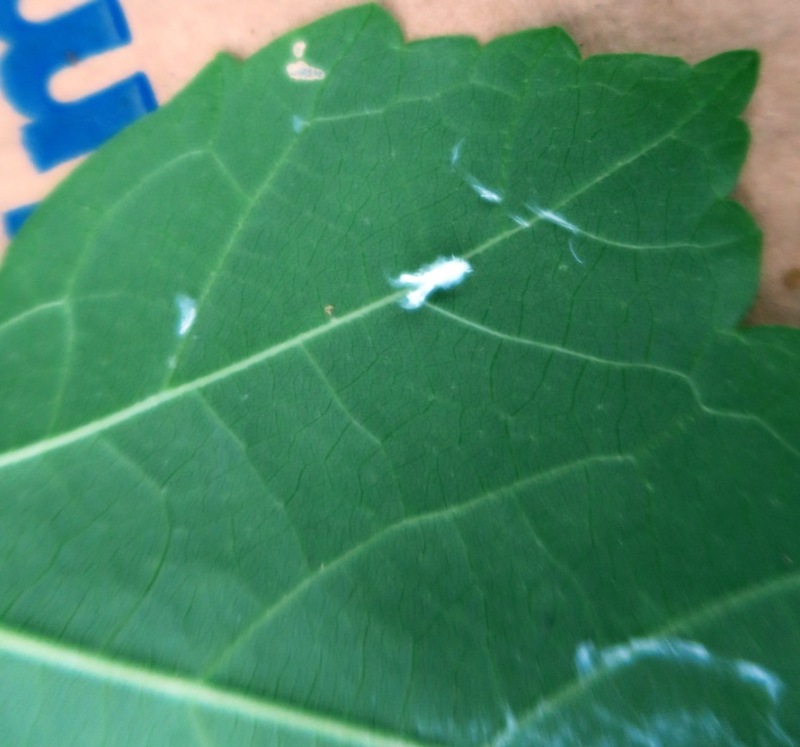 Mealybugs are insects in the family Pseudococcidae, unarmored scale insects found in moist, warm climates.They are considered pests as they feed on plant juices of greenhouse plants, house plants and subtropical trees and also act as a vector for several plant diseases. My post yesterday mentioning the woolly aphids prompted several of you to ask what was the difference between these and mealy bugs. 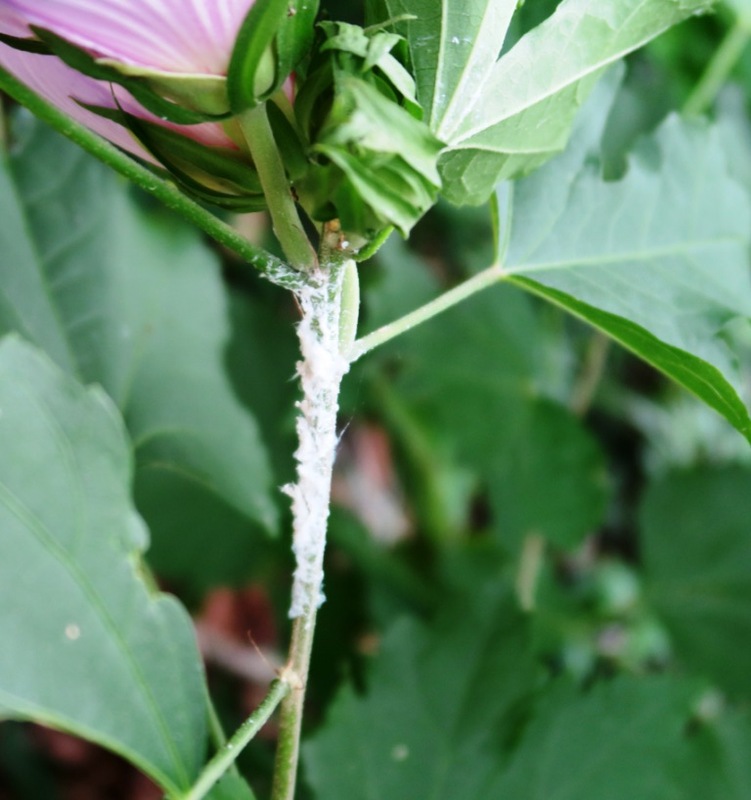 Mealy bugs and woolly aphids are different pests that cause similar effects and are very easily mistaken for the other. 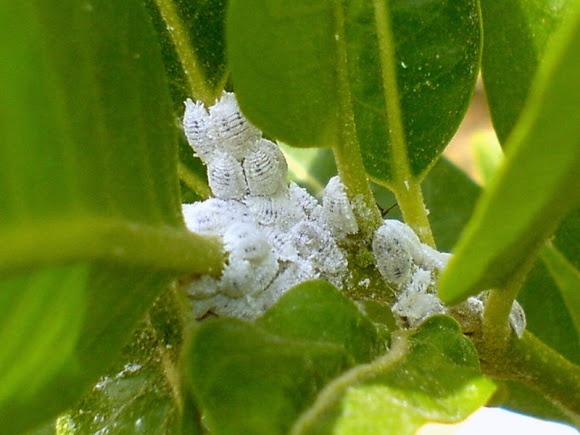 Mealy bugs are often found congregating in the joints of plants or where leaves are attached. If you look very closely they have an oval shape to their body under the protective white waxy/woolly coating. They are actually a soft-bodied scale and you rarely will see them move with the naked eye. Woolly aphids create a similar layer of white coating, but it tends to coat a stem or be in patterns on the backs of leaves. If you look closely, you will also usually find active adults moving around on the leaves and stems. 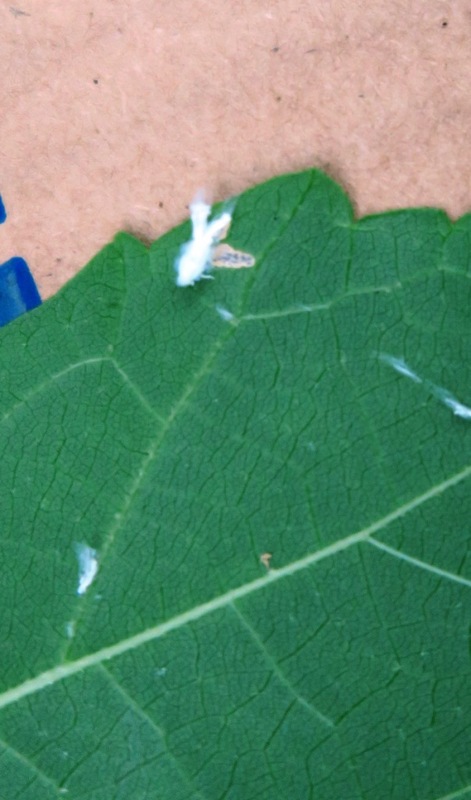 Woolly aphids (subfamily: Eriosomatinae) are sucking insects that live on plant fluids and produce a filamentous waxy white covering which resembles cotton or wool. The adults are winged and move to new locations where they lay egg masses. The nymphs often form large cottony masses on twigs, for protection from predators. 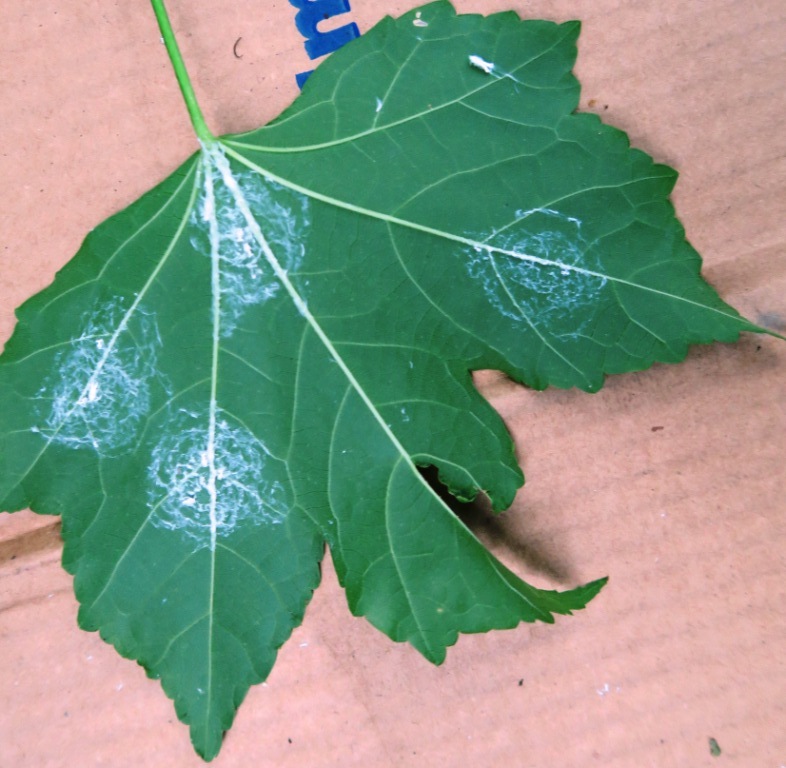 Mealybugs are insects in the family Pseudococcidae, unarmored scale insects found in moist, warm climates. They are considered pests as they feed on plant juices of greenhouse plants, house plants and subtropical trees and also act as a vector for several plant diseases.